Provide comfort for the family of Elsie Congo with a meaningful gesture of sympathy. Elsie Marise (Cuff) Congo was born to the late Harry and Mary E. Cuff, in Wilmington, Delaware on December 12, 1934. Elsie peacefully went home to be with the Lord, on January 1, 2019. Elsie was the last surviving child of 13 brothers and sisters of the Cuff Family. 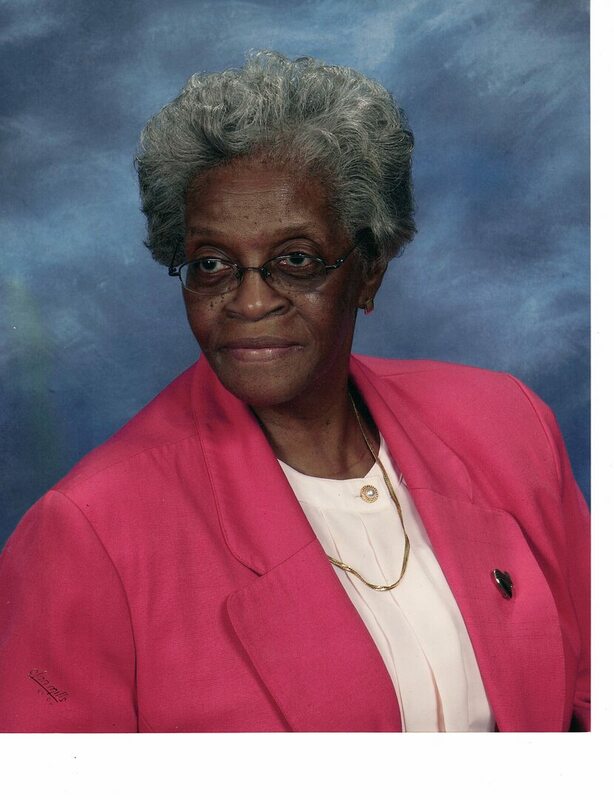 Elsie was educated in the Wilmington Public School system attending # 5 School and Howard High School. Elsie relocated to Cleveland, Ohio in the 1950’s and continued her education, earning her certification as an LPN. She was employed at several hospitals in the Cleveland area for more than 10 years. In 1970, Elsie returned to Wilmington and enrolled in the Delaware Technical and Community College nursing program. There she earned her R.N. license and was hired by Tilton Terrace Nursing Home, where she was the “First African-American Registered Nurse In Charge” until she retired after 25 years of service. Elsie then worked as a visiting nurse until her health caused her to again retire in 1995. After recuperating by the Grace of God, Elsie just couldn’t be still so she worked various part-time jobs to stay active. Elsie enjoyed her time as a receptionist/office manager at Brandywine Gateway Neighbors and as a caregiver, sitting with patients during their medical treatments. Elsie accepted Jesus Christ as her Lord and Savior in her early adult years. Elsie was joined in holy matrimony to the Late Raymond (Specs) Saunders; from this union three children were born James, Norma and Eartha Saunders. Years later while residing Cleveland Ohio, Elsie met and was joined in matrimony to Jack N. Martin from this union, two children were born Carolyn and Jack, Jr. When Elsie returned to Wilmington, she renewed her faith and rejoined St. Paul UAME Church, at that time the church was located on E. 11th Street in Wilmington. Elsie worked in the church diligently alongside her mother, the late Mary E. Cuff and participated in several auxiliaries such as the Daughters of Conference, Nurses Unit, Steward Board and the Sanctuary Choir. Elsie also taught Sunday school and was a Class Leader; Elsie was a faithful and trusted member. When the ‘UAME Conference’ recognized the need for nurses to serve and form a unit, Elsie was appointed by the late Sister Hilda J. Poindexter to be the overseer, a position she held proudly with dignity and diligence. Elsie was a wonderful care giver to many of the residents at her residence of Sacred Heart Village until her own health failed. Elsie loved her family doing all she could to help. Mom, mom-mom and Nana as we affectionately called her, helped raise her grandchildren and even the great-grand’s. Each one was special as she knitted and crocheted for every child, grandchild, great-grandchild, son-in-law, grandson-in-law and granddaughter-in-law an afghan, in your favorite color. At Thanksgiving every one of Mom’s children and grandchildren got a delicious sweet potato pie of their very own. Troy (her grandson) would never let it go down if there were none of her pies. “Can we just say spoiled”! Mom loved us all in different ways, but was always there for us all doing what she could to support and help in any way. As a single parent, Elsie was the best Mother, Grandmother, Great-grandmother and Great-Great-Grandmother she could be, a true disciplinarian until it came to those Grand’s! They got a “pointed finger shake and a scripture to follow”! Elsie was preceded in death, by her son Jack N. Martin, Jr. but leaves to cherish her memories: One son, James M. Saunders; three daughters, Norma J. Jones, Eartha M. Saunders and Carolyn D. Martin-Pettaway (Herman); 11 grandchildren, Crystal, Nina, Ronnie, Jamal, Dennis, Sharanda, Shawna, Ronald, Larry (Daretta), Yvonne (Tim) and Troy; a host of great-grandchildren, great-great-grandchildren, nieces, nephews, other relatives and longtime devoted friend Sis. Gertie B. Ross. 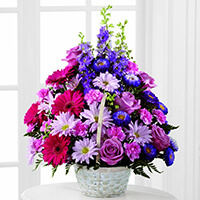 To send flowers to the family of Elsie Marise Congo, please visit our Heartfelt Sympathies Store. We encourage you to share any memorable photos or stories about Elsie. All tributes placed on and purchased through this memorial website will remain on in perpetuity for generations. Greg Cuff and Family sent flowers to the family of Elsie Marise Congo. Carolyn, My condolences to you and the family, keeping you all in prayer. “Blessed are they that mourn for they shall be comforted.” I pray that you will find peace and comfort in these words and that God will give you the strength and courage to go on. Greg Cuff and Family purchased the The FTD Pastel Peace Basket for the family of Elsie Congo.